Your home is your biggest and most important investment, so you want to carefully take care of every last element. One of those details just happens to be picking out the perfect window coverings in Charlotte. The first part of making good choices about your window treatments stems from knowing more about the options that you have. 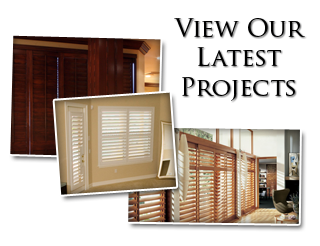 There are plenty of window treatments out there, ranging from shutters to window blinds, shades, and draperies. Not to mention all the various styles within each type of window covering. How do you know if blinds, shades or shutters are right for your home…let alone vinyl vs wood blinds, pleated vs cellular shades, polycore vs plantation shutters? Do you want a uniform look throughout the house? 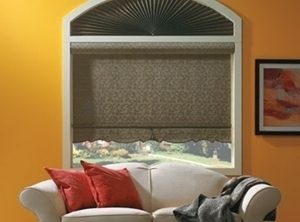 Some homeowners want one type of window covering and color, in order to create a uniform look throughout the home. In that case, it is usually something cost-effective and neutral, like white window blinds. If you want each room to have its own look, this opens up the possibilities quite a bit. Your budget is your most important indicator for the choices that you make. The good news is that there are often great alternatives, at both ends of the price spectrum. For example, wood blinds are a stunning choice that will increase the property value of your home, they also come with a higher price tag. For a more budget-conscious option, go with faux wood blinds. Think about your material options and choose something that works well with your household and lifestyle. For instance, if anyone in your home suffers from allergies, you want something that is less likely to trap dust and dander, which would eliminate curtains. If you don’t have a lot of time for cleaning, select a treatment and material that is known to be easy to care for. Privacy is another important determining factor. Shutters offer the most versatility in light and privacy control due to the system of slats and louvers. If you are concerned about light and privacy, you don’t want to make the mistake of opting for something like a sheer curtain or even light colored vinyl blinds. These are just a few of the examples of details to take into consideration, when choosing your window coverings in Charlotte. Of course, the best way to set yourself up for success is to find the right team of experts to partner with. 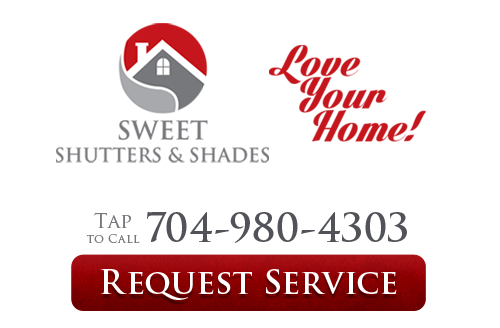 Savvy homeowners know that the Charlotte window blind company to entrust for their window treatment services is Sweet Shutters and Shades. We take great pride in the work that we do, and that is evident from the results we are able to get for our customers. Get in touch with us today so we can arrange your free consultation and help you decide what styles are right for you. If you are looking for window coverings in Charlotte, NC then please call 704-980-4303 or complete our online request form.